At first glance, this looks like your typical wall mural of birch trees. 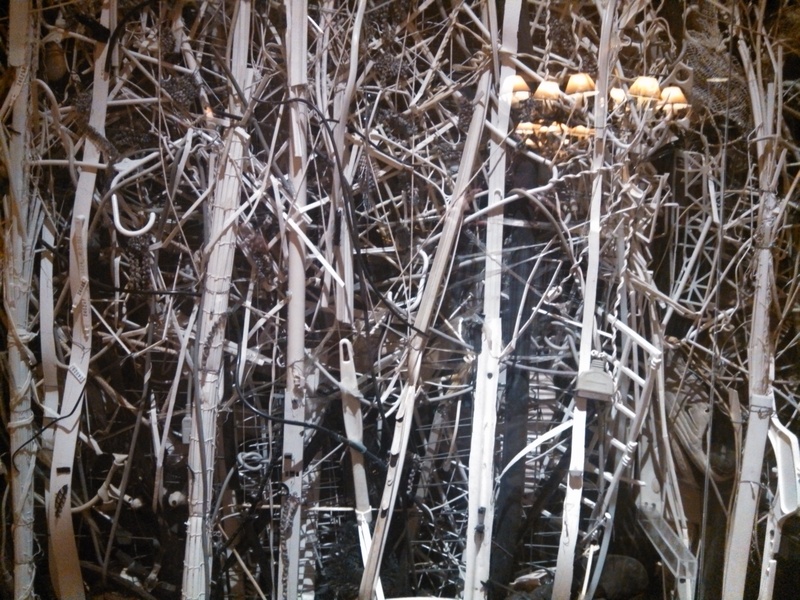 Upon closer inspection, it is all old computer parts ty-wrapped together to look like birch trees. It’s a very interesting piece of wall art, and I really enjoyed it. Of course, if you need a dozen of them, our wall murals would do the trick and be a lot faster and less expensive to produce. Worst case, you take a photo of the original art and print it as wallpaper! This entry was posted in Custom Printed Wallpaper and tagged custom wallpaper, wall art, wall murals. Bookmark the permalink.